For RhoCoCo I needed two PCBs, a 10 x 10cm dual sided "motherboard" PCB, and a 18.5 cm x 10 cm single sided keyboard PCB. These are my experiences with the ordering process. 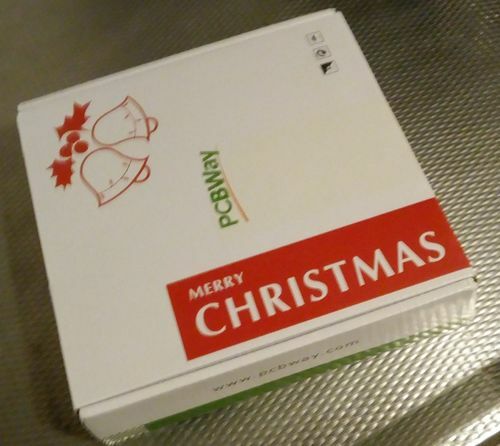 I was given an offer that I could get free PCBs if I would write a "HOWTO" about ordering PCBs from the Chinese PCB manufacturer PCBWay. So here are my experiences. Firstly, you have to realize that the Chinese live in a timezone eight hours later than a Dutch person, so its not a good idea to order PCBs at 19:00 hour, especially not on a Sunday, as stupidly I did, I had to wait until far after midnight before my designs were checked (my fault, it normally takes just a few minutes). The ordering process, although largely automated, still means the PCB must be checked manually, and that takes longer when its four o-clock on Monday morning :-). So first tip, do your ordering in the morning. Secondly, you need to know the details of your PCB, at a minimum you need the X/Y size of your PCBs, in my case 100mm x 100mm, and 185mm x 100mm. Sure these information is also contained in the gerber files, but almost all PCB manufacturers also want you to state the sizes, if only for determining the price. PCBWay always produces PCBs in multiples of 5, so the minimum order is 5 pcs, and more in increments of 5 pcs, so 5 - 10 - 15 -20 etc. I assume this is because they stack 5 PCB Panels, so they always create 5 of each they make. 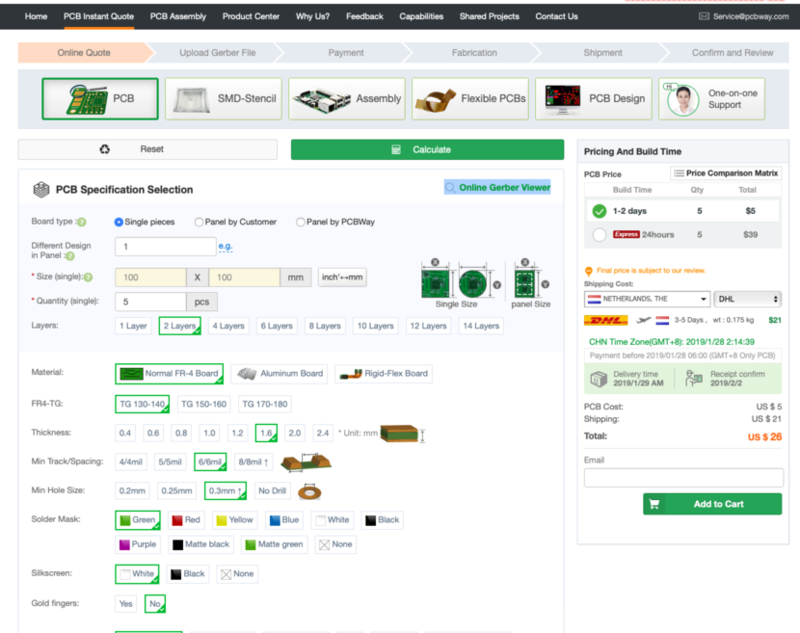 all modern PCB manufacturers pool all orders until they have enough orders so that they can fill a whole panel, where they will make a "jigsaw" puzzle of all the designs, trying to cram as much designs on the panel as possible. If your designs are large or have unusual shapes, this process becomes more complex. Small square PCBs are easiest to combine to fill a panel, so PCBs smaller than 100mm x 100mm are cheaper, as its easier to find unused space in the panel where they can fit it in. The larger, and less square your PCB is, the more difficult it will be to fit it with all other designs on a panel, and so the cheaper it will be. The stack of five panels will be drilled as if its one PCB, so all 5 designs in the stack will be the same type, for example they will all be dual sided (or single sided, if the panels are single sided) probably with the same color of lacquer, and the same color of silk screen (printing). the same thickness PCB, the same material, and probably the same precision grade. This explains why ordering standard PCBs (with standard lacquer and silk screen colors, same PCB material (FR-4) and thickness (1.6mm) ) will always be cheaper, as its easier for the manufacturer to pool designs with these parameters. 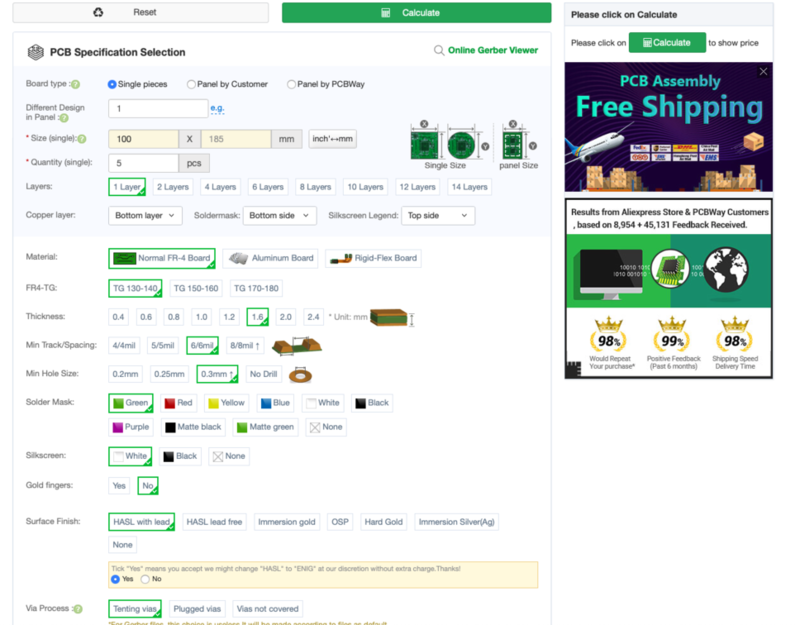 This is the page where you can choose from all the available options, in this case I'm ordering the 100mm x 100mm dual sided main green PCB, with white silkscreen, and standard thickness (1.6mm) and default PCB material. Where possible always choose the default options. This is the screenshot of the options for the single sided keyboard PCB, measuring 185 x 100mm. Note that I opted to give the PCB manufacturer the choice over the type of surface finish, this makes pooling these PCBs easier, as the manufacturer can choose in which panel-stack with a specific finish he can pool these PCBs. So the good news is that PCB's are being made, and that I succeeded in executing the payment process. The downside was that, due to the delays introduced by Chinese New year the arrangements to give me a budget so that I could get PCB's for free came too late. So in the end I paid the PCB's myself. And because I have no access to PayPal (long story), and paying with a bank transfer is impossible for me, (I think you need to be a business expert to arrange a bank transfer). 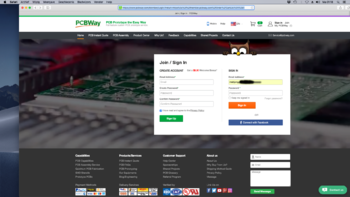 The boss of PCBWay told me they are working on paying with a credit card, but at the moment the only way for me to pay is to spend $5 extra and make use of the services provided by AliExpress. But paying through AliExpress is a bit of a hack! 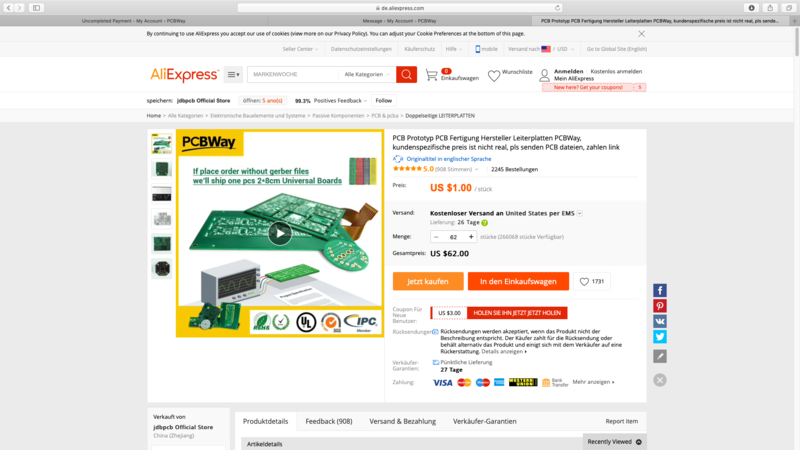 You are directed to a page written in German (good luck if you cannot read German) that tells you that if you did not send in a Gerber file you are buying small experimentation PCB's for $1. 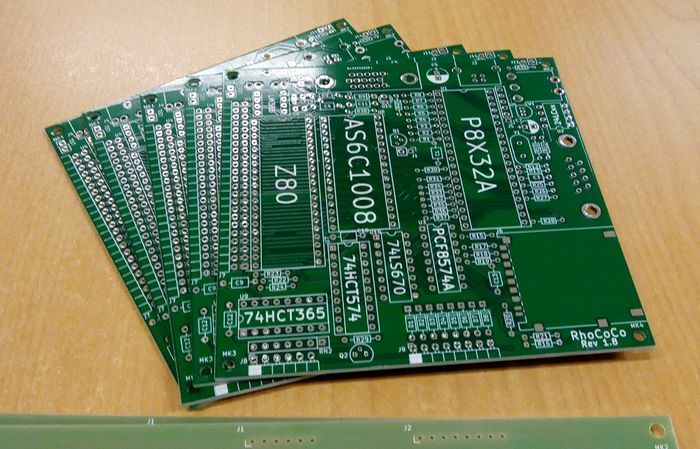 I chatted with the service desk of PCBWay, (that seems to be open 25/7 so I even could use it on a Sunday night) and the nice lady told me (in English) that yes indeed, I had to buy 62 of these PCB's, for a total amount of $62, and that after I had paid I had to e-mail her the payments details. Plus the Italian window had two tabs, one for creating a new account, and one for logging in, completely impossible to understand when you don't speak Italian. It took me two attempts, and two days, to cross this hurdle, to tell the system I forgot my password. What also not helped me was not understanding (due to the Italian text) that a box I thought was for text entry was in fact a slider I had to slide to the right, the obligatory gotcha I had to enter was much less of a problem, and so after finally realizing what the slider was, I at last managed to log in. After that I could indeed choose for a dozen or so obscure payment methods, and so I could choose iDeal, and the bank I wanted to pay with, and so I finally could pay $62, (some 52 euro's) and e-mail my payment details to the service desk lady. Lo and behold, a few days later I received an e-mail that my PCB's were ready, and on my way per DHL. Yesterday I found a card in my letterbox that DHL had visited me for the delivery of a package, but had not found me at home. The card did not say it, but the reason the package wasn't dropped in my letterbox, or given to one of my neighbors, was that I still owed DHL money, namely seventeen euro "import costs" and twenty-eight euro import taxes, or €45 in total! On a package worth €52! Thats 86% extra :-(. It would have been far cheaper to use China Mail, to send me this sample without value, and have it delivered in my letterbox, probably without having to pay any taxes and import costs. Okay, it would have taken a couple of weeks to arrive, instead of a couple of days, but it would have been far cheaper, and easier. Now I had to arrange for the €45 payment, and had to find a neighbor that was home, and who was willing to take a package for me. If all goes well I will have my PCB's tomorrow, and will then report on the perceived quality of them. So was it worth buying these PCB's in China, instead of from my usual PCB maker "eurocircuits"? well If I only look at the price, for 5 sets of these 2 PCB's I have to say yes. the 100 x 100mm dual sided PCB costs € 99.4 netto (€ 120.27 including VAT taxes), and the single sided 100 x 185mm cost much more, €\€ 516.73 for 5 including VAT, or €182.59 if you choose "naked" PCB's without solder masks or silk screens. So yes, it is still much cheaper. You could opt for a lower number of PCB's say 3 instead of 5, but the price doesn't scale linearly and so 3 PCB's costs just a few euro less than 5. Paying with PayPal, or when PCBWay gets this option, use your credit card. use China Mail, instead of a courier. If the package is small enough to fit trough a letterbox, you might avoid paying import tariffs and taxes, for your sample without commercial value, instead of paying the tariffs for "electronic equipment". Have some patience, and if you must use the aliexpress route, it helps if you speak some other european languages, not just English. DHL delivered the package to my neighbor, and I have picked it up. The PCB's were professionally packaged, in hermetically sealed bubblewrap bags, inside a cardboard box, with the two types of PCB separated by several layers of foam, and foam all around. The box was a bit too thick to be put through a Dutch standard size letterbox, but smaller packages might. The PCB's look well made, and the single sided PCB has the copper layers with solder resist, and silk screening on the right sides, no mistakes were made, the dual sided boards also looked well made. I'm pleased. This is the box the PCB's came in, its just the right size. These are the main PCB's, five of them. This page was last modified on 7 March 2019, at 21:23.